As AIG turns 100 years old, we reflect on our history of risk excellence, our tradition of keeping promises, and our commitment to making a better world. AIG marks its centennial anniversary in 2019, celebrating 100 years of delivering deep specialist expertise for our clients, as well as our entrepreneurial spirit in how we address evolving risks, and our commitment to the communities in which we operate. Find out more at 100.aig. With roots that trace back to 1919, we’re a global insurance company with operations in more than 80 countries and jurisdictions. We provide a wide range of insurance products to support our clients in business and in life, including general property/casualty insurance, life insurance, retirement and financial services. What unites us across all our the products we offer is our commitment to helping our clients prepare for what’s next. Whether that’s helping towns, cities and communities to prepare for or recover from natural disasters, or supporting people and businesses through the challenges they face at home and abroad. Together, we’re working to help see, build, and secure a better future for everyone. Richie McCaw talks about the key to success. Move your career forward by building a safer, stronger future for businesses, families, and communities, in New Zealand and around the world. Our employees are guided by the same values as the hugely successful teams that we sponsor: determination, strength, integrity, teamwork. AIG offers world-class opportunities in a broad range of disciplines. From underwriters, claims examiners and engineers, through to professionals in the finance, legal, IT, and communications fields. When you work for AIG, you’ll receive the training, leadership and support you need to take you where you want to go. And with offices around the world, a career at AIG could take you just about anywhere. AIG traces its roots to 1919, when American Cornelius Vander Starr established a general insurance agency, American Asiatic Underwriters, in Shanghai, China. Since then, an enterprising spirit, ingenuity, and tenacity have built the company into one of the world’s leading insurers. The first New Zealand office opened in Wellington and officially began to write business on September 28, 1970, as managing agents for the American Home Assurance Co. A second office was opened in Auckland, not long after. 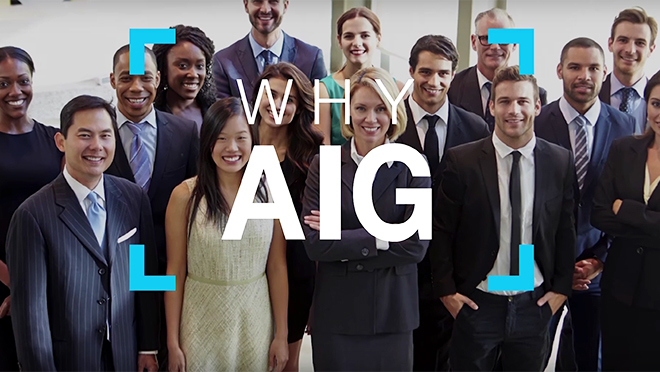 Today, AIG is focused on what it has been known for since the beginning: the willingness and ability to provide insurance coverage to meet the diverse needs of its clients. AIG Insurance New Zealand Limited (Company) is a wholly owned subsidiary of American International Group, Inc. (AIG), headquartered in New York. One of the largest insurance companies in the world, the AIG group has operated in the general insurance business in New Zealand since 1970. Until 2011 the business was a branch of a member of the AIG group based in the USA. On 1 December 2011 the branch business was transferred to the Company and the Company became the first licensed insurer under the Insurance (Prudential Supervision) Act 2010 (IPSA). With the issue of the licence the Company became subject to the IPSA regulatory regime administered by the Reserve Bank of New Zealand (RBNZ). The rating from 'AA' to 'CCC' may be modified by the addition of a plus (+) or minus (-) sign to show relative standing within the major rating categories. A full description of the rating scale is available on Standard & Poor’s website. Find our latest press releases, links to company information, and information for media enquiries. Explore our Global Knowledge and Insights Centre to find out more about some key risk issues and trends happening around the world and how you can manage these exposures.